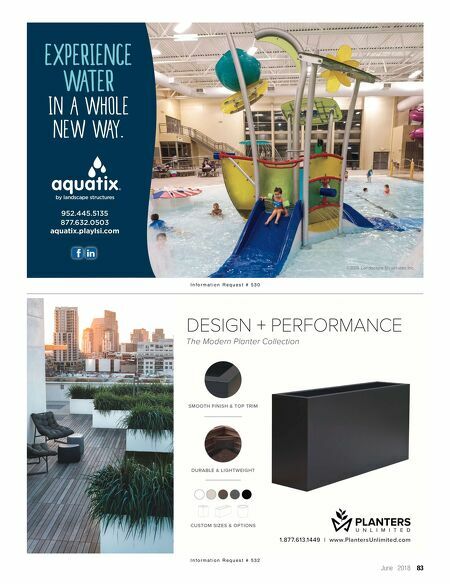 82 Landscape Architect and Specifier News I n f o r m a t i o n R e q u e s t # 5 2 9 UConn Prof. 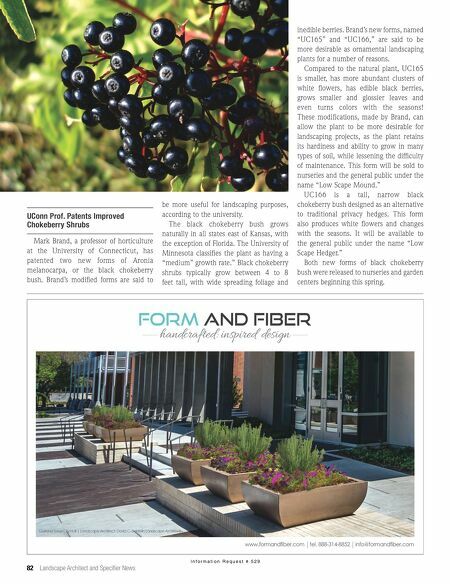 Patents Improved Chokeberry Shrubs Mark Brand, a professor of horticulture at the University of Connecticut, has patented two new forms of Aronia melanocarpa, or the black chokeberry bush. Brand's modified forms are said to be more useful for landscaping purposes, according to the university. The black chokeberry bush grows naturally in all states east of Kansas, with the exception of Florida. The University of Minnesota classifies the plant as having a "medium" growth rate." Black chokeberry shrubs typically grow between 4 to 8 feet tall, with wide spreading foliage and inedible berries. Brand's new forms, named "UC165" and "UC166," are said to be more desirable as ornamental landscaping plants for a number of reasons. Compared to the natural plant, UC165 is smaller, has more abundant clusters of white flowers, has edible black berries, grows smaller and glossier leaves and even turns colors with the seasons! These modifications, made by Brand, can allow the plant to be more desirable for landscaping projects, as the plant retains its hardiness and ability to grow in many types of soil, while lessening the difficulty of maintenance. This form will be sold to nurseries and the general public under the name "Low Scape Mound." UC166 is a tall, narrow black chokeberry bush designed as an alternative to traditional privacy hedges. This form also produces white flowers and changes with the seasons. It will be available to the general public under the name "Low Scape Hedger." Both new forms of black chokeberry bush were released to nurseries and garden centers beginning this spring.